Sigh. Just returned from the most amazing trip in my favorite place in the world, Australia!! I swear, there is no place like it on earth. 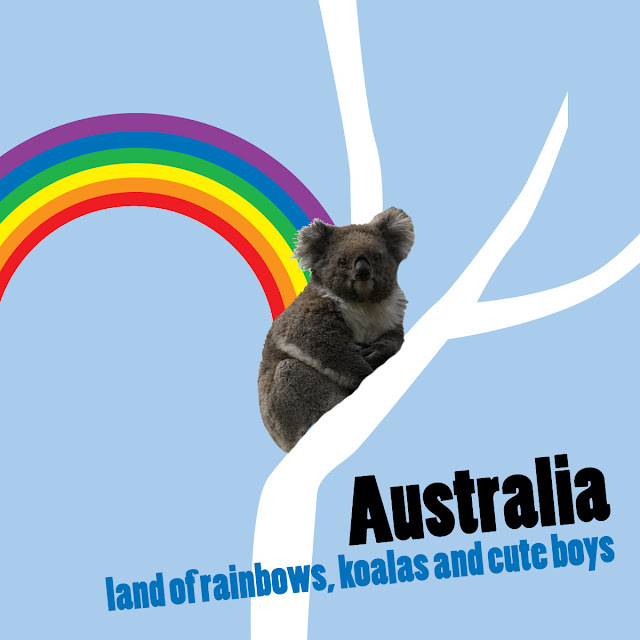 During my short stint there, I actually saw a RAINBOW, a koala in a tree outside our house, AND was seated next to not one, but TWO cute boys on my flight from Melbourne to Sydney. Thank you, Australia! YAY! Welcome back! Can't wait to read about and hear about ALL of the juicy details. yay! can't wait to hear about your trip via the supergreat! Thanks girls! Can't wait to share! Such a memorable time, thanks to my amazing hosts ;) Glad you like the graphic, General! That's what happens when you wake up at 6am due to jet lag. Lots of time to be creative!